The HIV AID Project was able to gather the children for several sensitization meetings and meals. 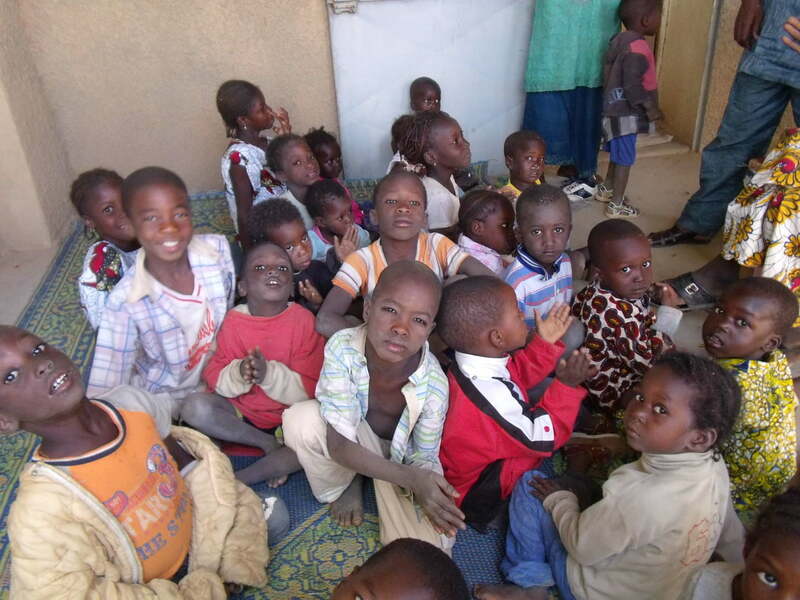 50 children were registered to get help in terms of food, schooling and clothing. A weekly Bible study hour was organized, followed by a time of games and Q&A. Four sessions on sensitization were held for parents and relatives on how to help an HIV infected child. Four movies were played with various testimonies about HIV infected people (How they caught the disease and how they live with it). One drama on stigmatization was played by the children. Regional authorities and medical workers have visited the HIV infected children. They saluted and encouraged the church project. All HIV infected children who have reached the age to go to school have been registered and they receive school supplies. For the next six months we will continue to have meetings with the 50 children. We will provide some help with food, clothing, schooling and medicine. We would like to involve, if possible, some parents in sensitization and the fight against stigmatization. H is a 12-year old boy born from a Muslim family. His mother died when he was 8 years old. He attended a Koranic school when he was 5. H said: “I did not want to attend this children meeting for the HIV-infected children. My father asked me to go. My father said: ‘Let’s go together next time, and we will go watch their movie about this bad disease.’ A week later, I was there. I was so surprised when the pastor prayed before the meeting and he prayed for all of us, mostly asking God to heal the sick. This is the first time I heard someone pray like that. After the meeting, we had a good meal and some pens, papers and Bible tracts. I love coming every week to this club. I am thankful for what they are giving me. My father is handicapped and is not able to pay my medicine but the church is helping us. I did not know Christians were like that. At the last meeting, the pastor told us that all the gifts are from people outside the country. I want also to thank them. Learn more about this ministry here.